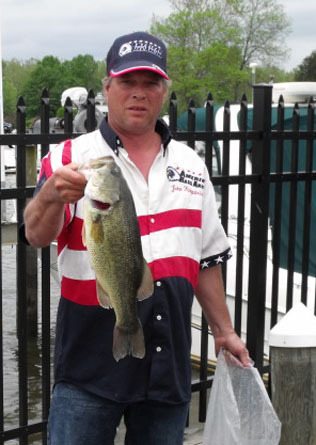 Jeff Warner spots the field one fish on the North East River. 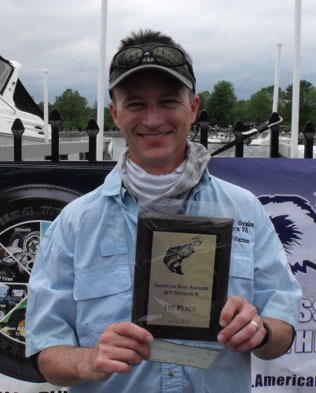 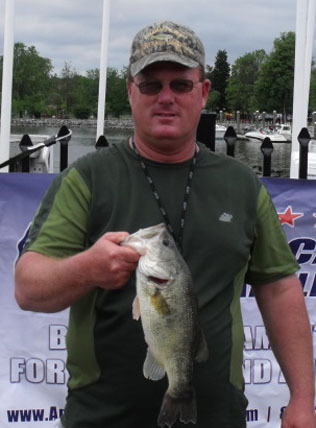 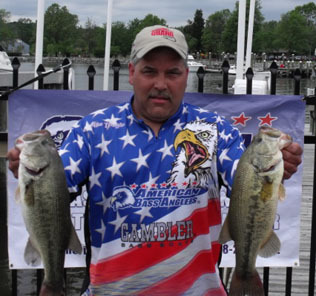 From Division 9 in Eastern Pennsylvania May 6th 2012, Jeff Warner Shamong NJ, is one step closer to the ABA National Championship with a 1st Place win and $350.00 in the American Fishing Tour bass tournament held on the North East River this past weekend. 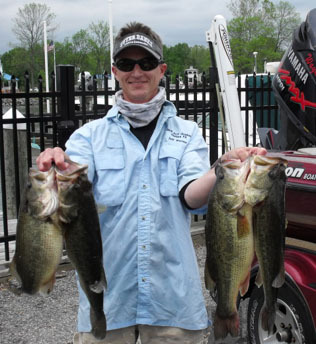 Jeff had 4 bass that weighed in at 16.36 pounds. 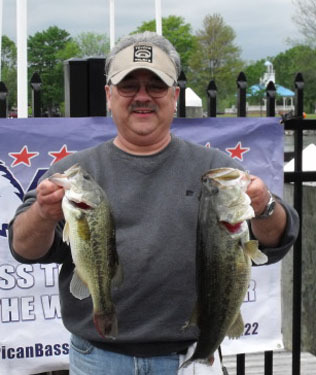 Second place went to Robert Winward with a weight of 15.54 pounds, third place was Wayne Alker with a weight of 15.49 pounds. 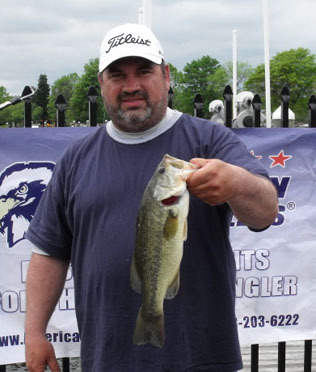 Big bass was awarded to Randy Iorio for catching a 5.02 pound large mouth. 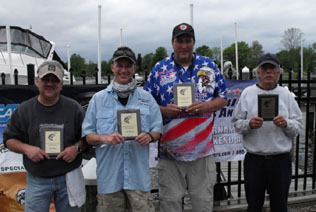 Jeff Warner our 2009 AOY, spotted everyone one fish and wins anyway. 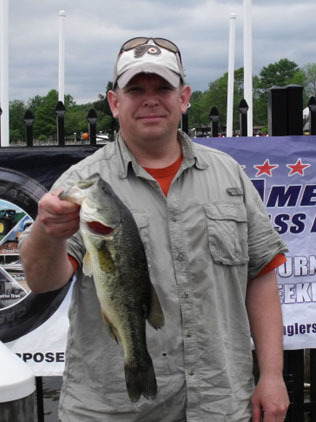 Jeff got his on soft plastic in the grass. 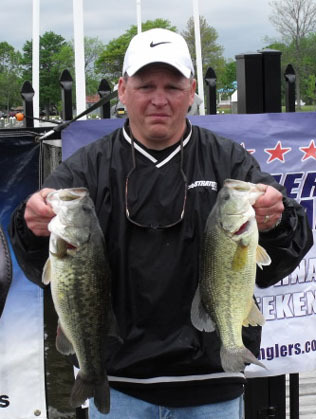 Randy Iorio 4 time COY champ, showed the young guns how its done. 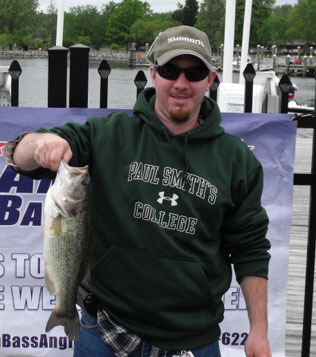 One cast, the first of the day, 5+ lbs. 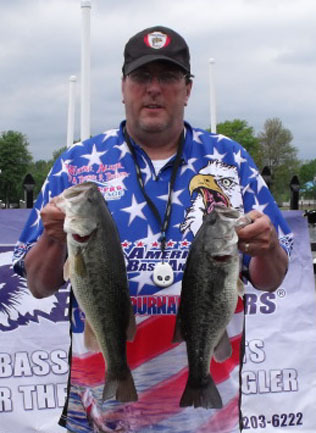 Moves Randy into a tie for the COY lead.